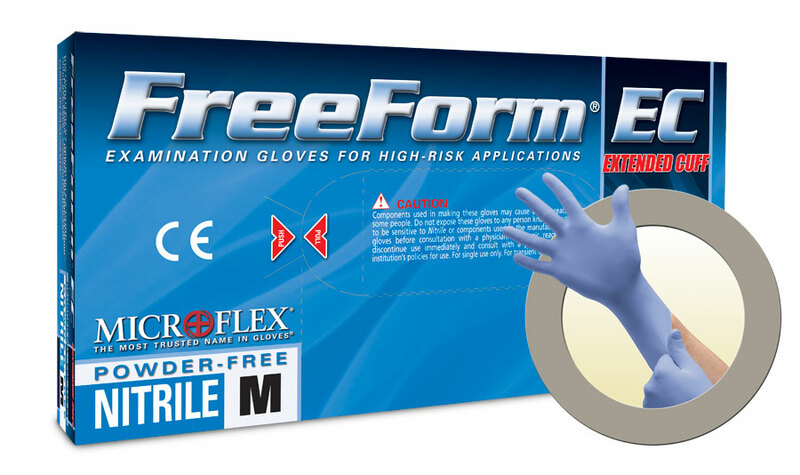 Microflex Medical Grade FreeForm EC Extended Cuff Powder Free Nitrile Exam Gloves are an excellent choice when durability and protection is demanded. Daily hazardous working environments require the best combination of toughness and security. These excellent nitrile disposable gloves are perfect when working in surroundings that demand consistent gripping power and reliability.